Warsaw’s famed ‘Royal Route’ links the city’s three Royal residences, starting from the Royal Castle on Plac Zamkowy, via Łazienki Park’s Palace on the Island, en route to Wilanów Palace in the district of the same name. 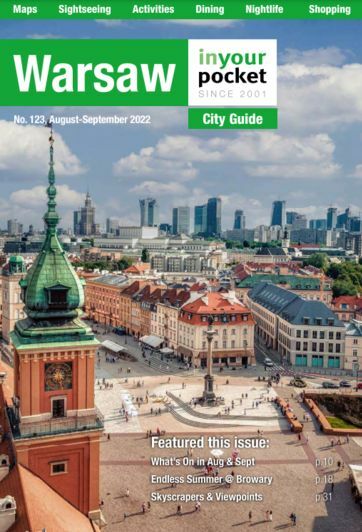 Covering 11km in length, this main artery through the city takes in a great range of Warsaw's historic buildings, parks, churches and monuments, making a trek down the ‘path of the Kings’ a 'must-do' part of any visit to the city. The heart of the route, along Krakowskie Przedmieście and Nowy Świat, will also lead you past, or more likely into, a grand selection of hostelries, restaurants and shops. Granted, a few of the further out parts of the route may not be anything to write home about, but it really is worth making the effort in order to visit the beautiful Wilanów Palace, gardens and parkland. We let you know what not to miss in our walking tour below.